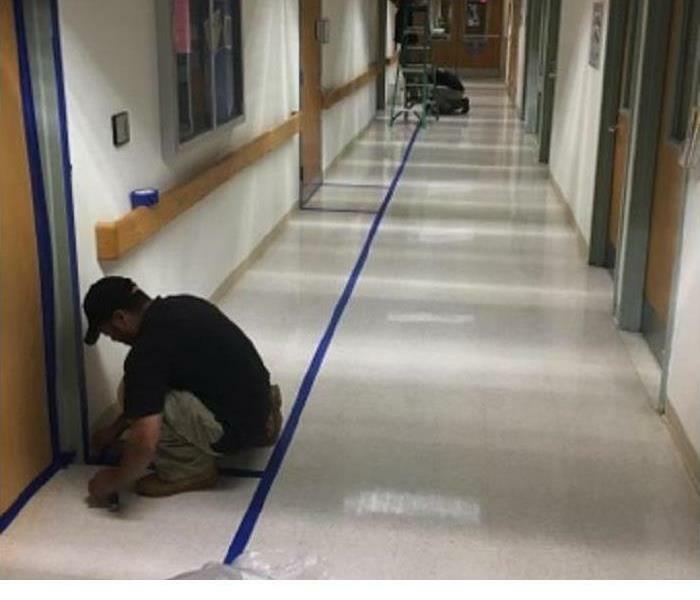 We have worked with many facility managers when their buildings flood. We are easy to work with because we use state of the art equipment and billing technology. Make it easier on yourself after a disaster and call SERVPRO of Quincy. When it comes to flooded commercial buildings you need to hire an experienced water damage remediation specialist. 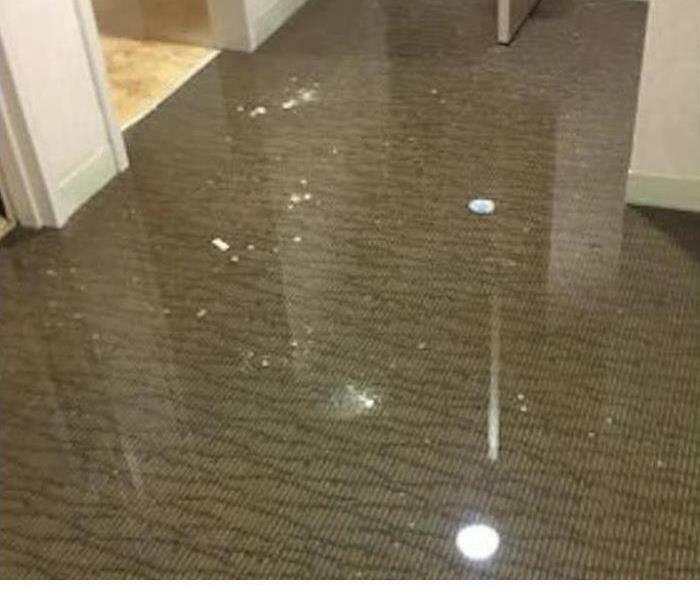 Give us a call if you have a water damage in your building or facility (617) 770-1596. This commercial property suffered from a water loss after a busted pipe. There was a significant amount of water in the building. SERVPRO responded immediately and began mitigation. The dehumidifiers were put in place to ensure the moisture was removed from the building preventing future damages. 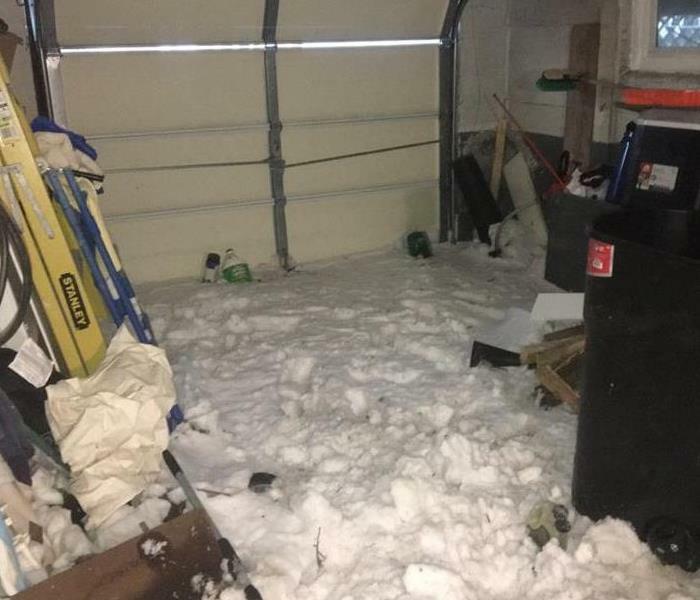 After a storm in Quincy the garage was covered in snow and debris. 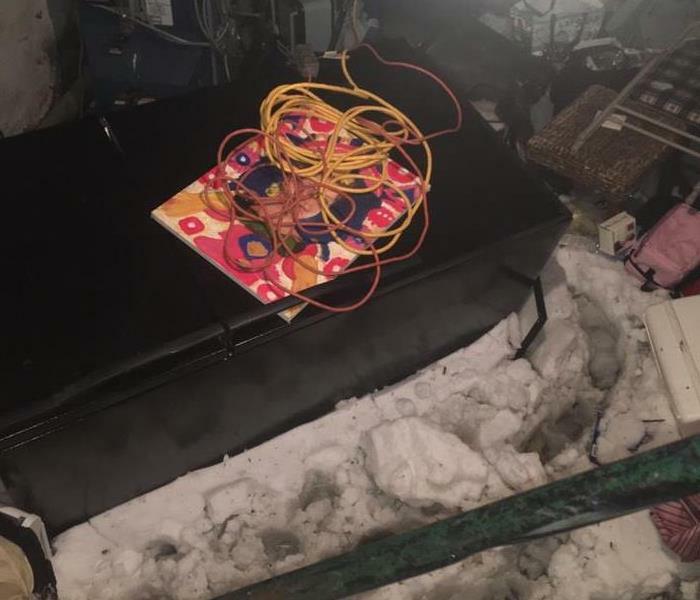 The team responded immediately and began cleaning out. There was significant damage to the roof and door from the heavy weight of the snow. 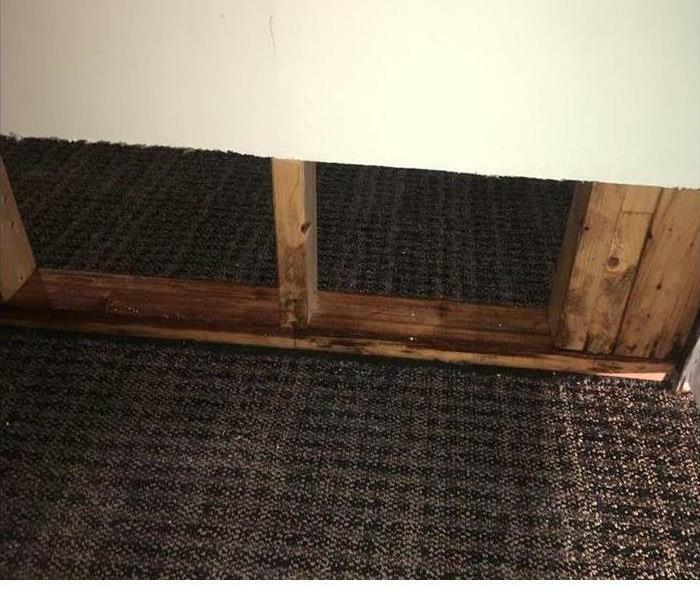 This home flooded after a pipe break in the wall. There was significant water throughout the home. SERVPRO responded and quickly began clean up procedures. Flood cuts were performed to ensure the drying of the walls to prevent future damages. This church suffered from significant amount of water after a flood. SERVPRO responded quickly and began clean up. 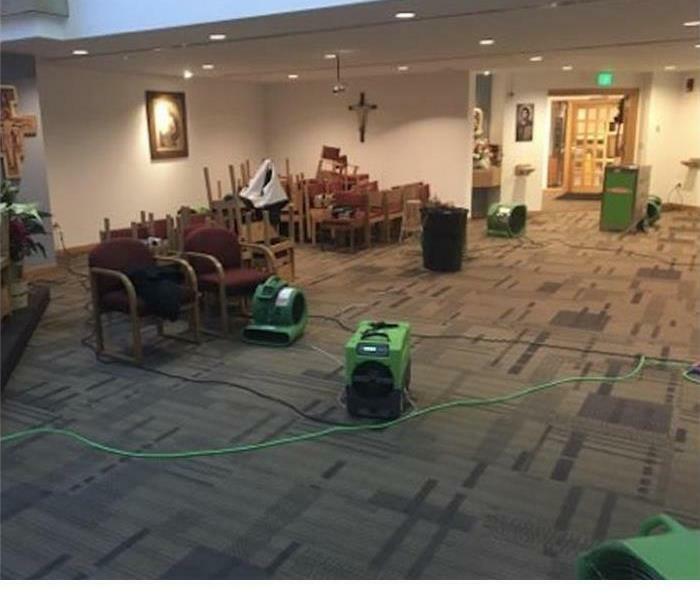 They extracted the water and used air movers and dehumidifiers to dry the church. When a home suffers water damage, we will often place several types of drying equipment to help remove the moisture. A few examples of the types of drying equipment we use can be seen here. 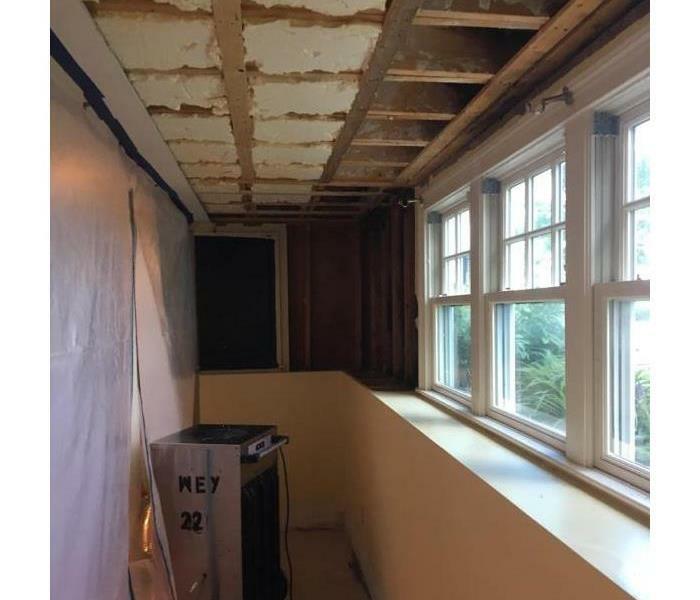 When water floods a structure, it is often necessary to remove affected drywall and sometimes, insulation. This is done by performing flood cuts a few inches above the flood line. Here you can see an example of this. 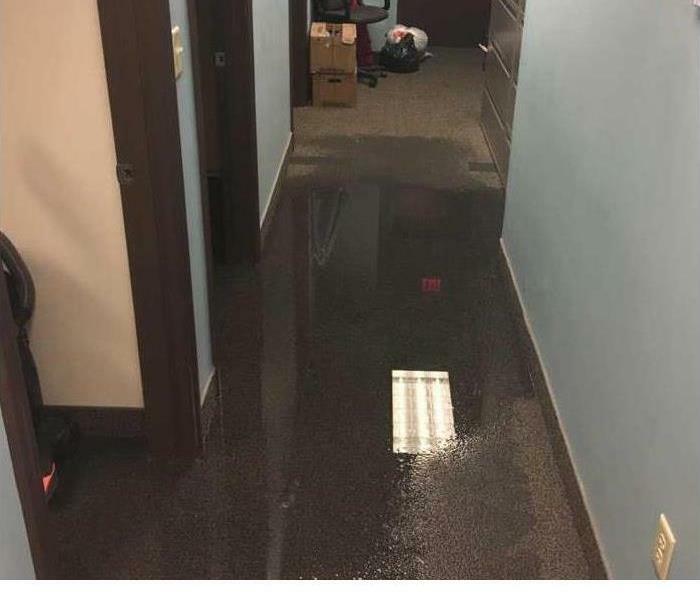 A pipe broke in this office building causing many gallons of water to flood the interior. In this image, you can see that when we arrived, there was still a lot of water standing in the facility. In this image, you can see one of our technicians hard at work repairing damage to this facility caused by a storm water intrusion. If your business suffers a storm water intrusion, give us a call! If your business is affected by storm damage, whether from high winds or heavy rains, you need to get back up and running as quickly as possible. Call us, we'll make it "Like it never even happened." In this image, you can see drying equipment placed in this facility to help remove moisture after heavy rains caused storm water to enter, flooding the interior. If your business is affected by flooding, call us! This facility suffered massive flooding after heavy rains from severe storms carried debris into the storm drains and caused storm water to back up into the facility. If this happens to you, give us a call! 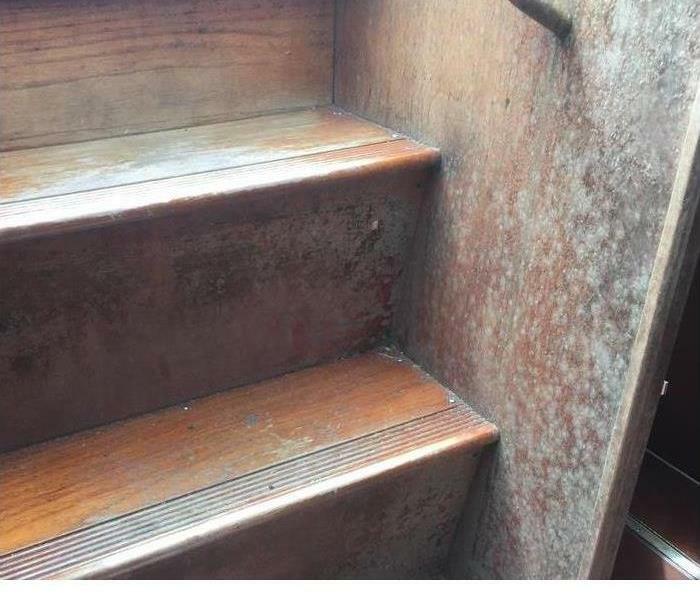 These steps are located on a boat where moisture is typically present. If left unchecked, mold like this can happen. 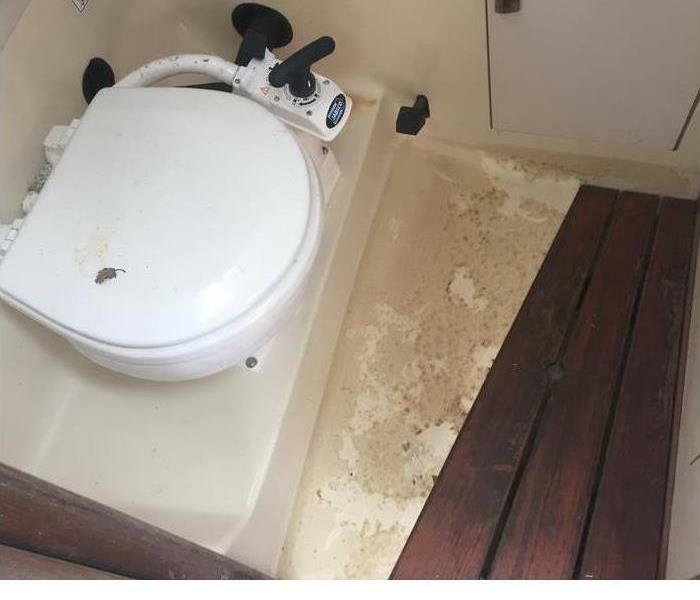 If you have mold, even on your boat, give us a call. We can help! It is common to find mold around toilets, sinks, or any other fixture attached to plumbing. Over time, you could find that leaks have developed and caused mold start growing. If that happens, call us! We build containment barriers around the visible mold in your home to prevent the spores from moving into uncontaminated areas of your home. We also deal with any moisture problems that may be causing the issue. 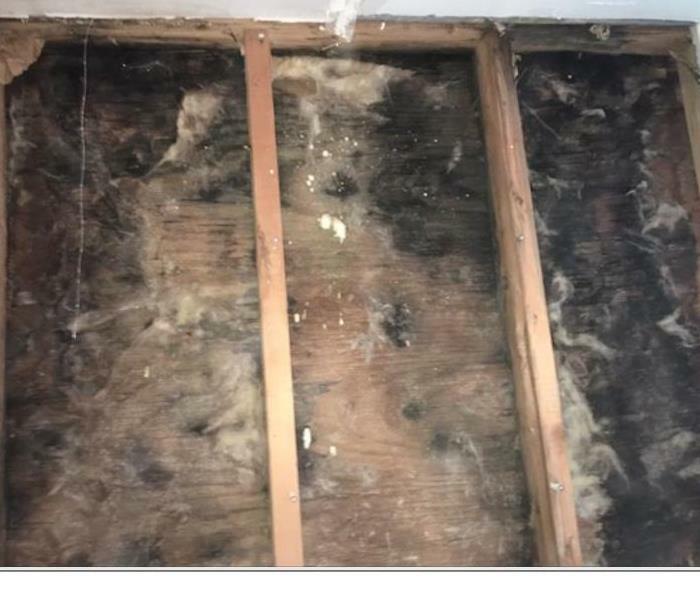 Mold is in every home without fail. It is usually in the form of a spore and it’s microscopic. If you suspect you have mold in your home, don't wait, give us a call. If you have a fire, you need someone you can trust to help you with the restoration of your home and do the job right. Our dedicated team of professionals is well trained and equipped to handle restoration after a fire. Fire is a devastating force that does significant amounts of damage to everything it touches. 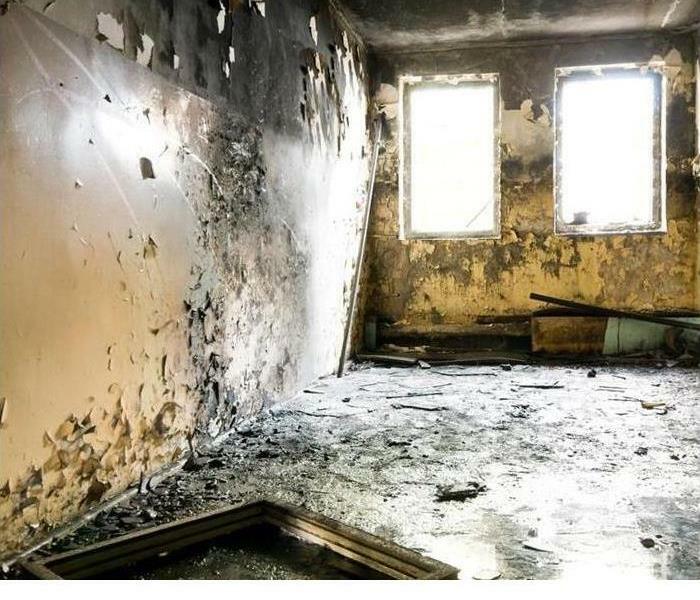 After a fire, you can also be left with soot, smoke smell, and water damage from fire fighting efforts. If you have had a fire, give us a call! 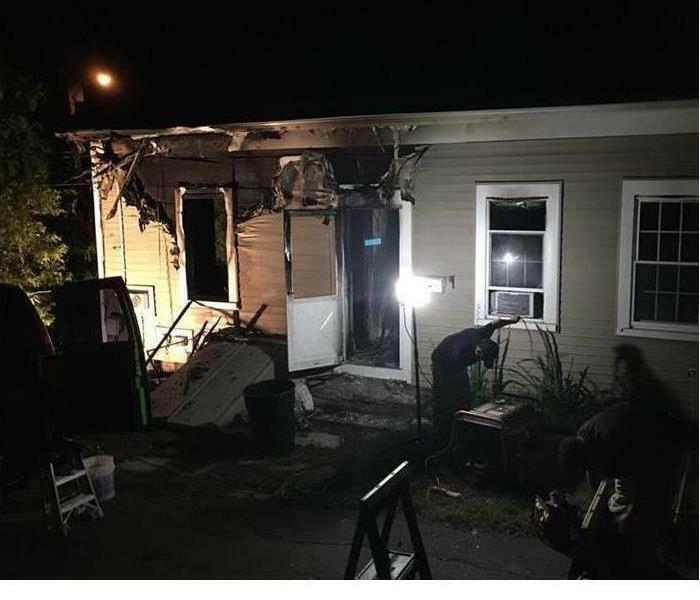 This home had a large fire that affected a large portion of both its interior, and exterior. Our team was called out to take care of the cleanup and restoration. 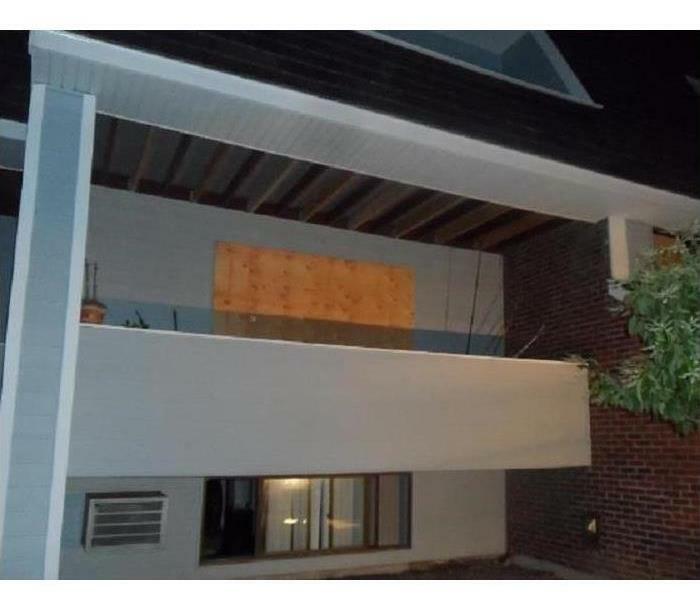 If you have damage like this, call us! This home suffered damage from a large fire that swept through its interior. In this image, you can see that we have boarded up the home in preparation for repairs. If you have fire damage, give us a call! 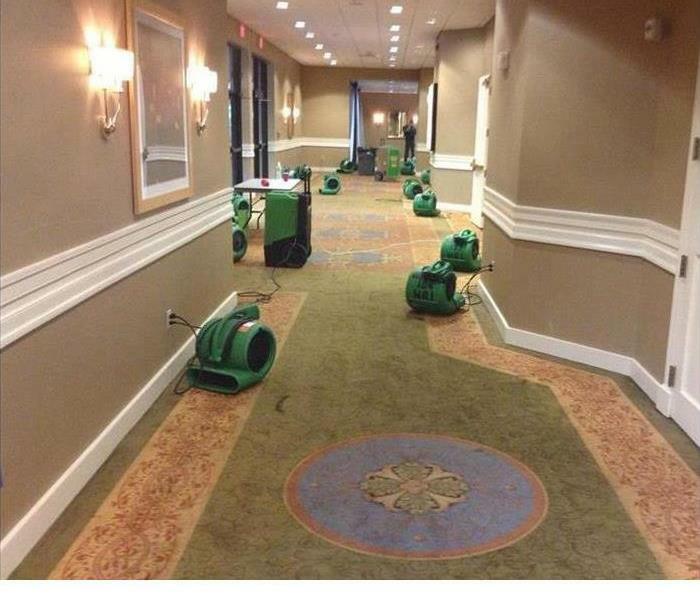 In this image, you can see flooding in a commercial facility caused by a broken pipe. 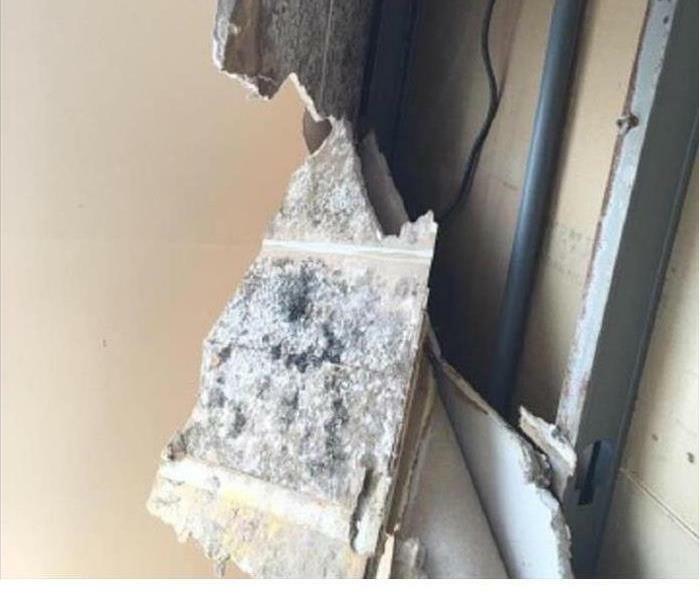 The flooding was severe and damaged the floor and walls throughout the facility. 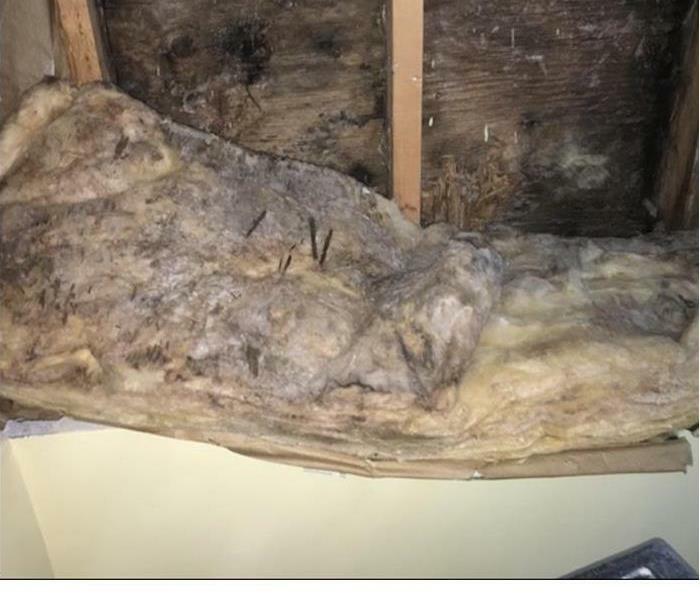 If you have damage like this, call us! 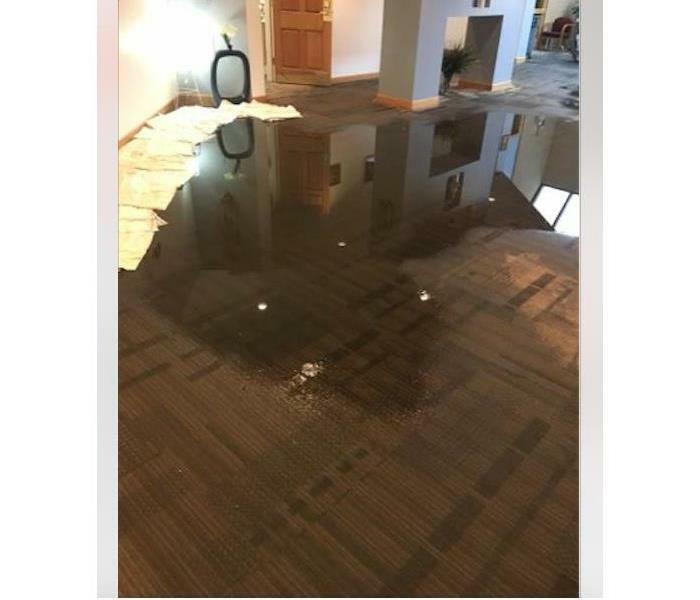 This facility was heavily flooded after a pipe burst pouring gallons of water throughout the facility. 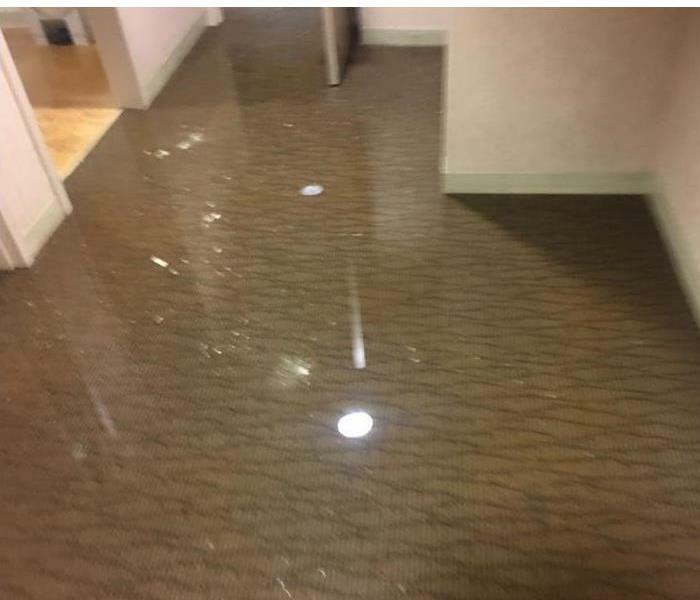 You can see that when we arrived, there was still water standing on the carpet. 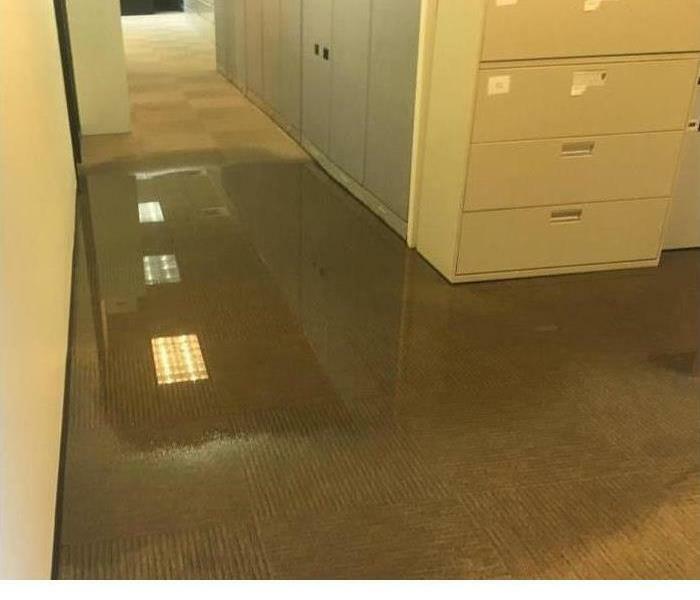 If your business suffers water damage, give us a call! This facility suffered a water loss and our team was called in to handle the clean up. We handle commercial clean up of all types. If you have a commercial loss, give us a call. 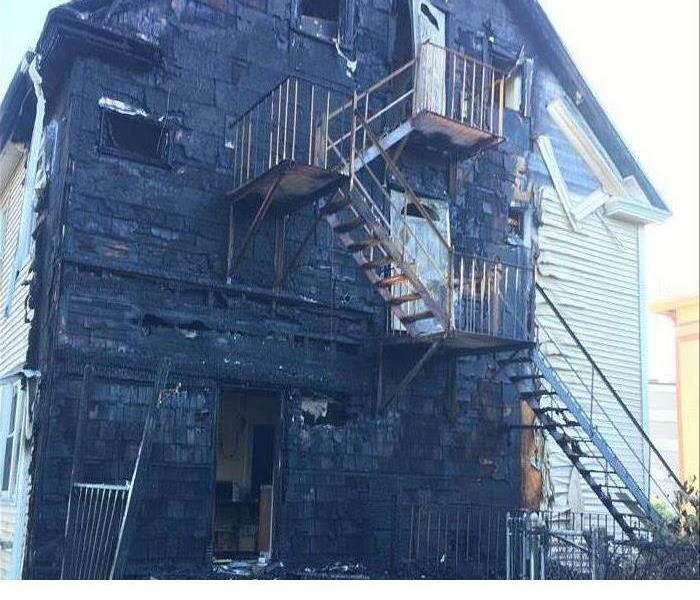 There was significant water and soot damage to this home after a house fire in MA. The team responded to this home and quickly began clean up and restored this home back to pre fire conditions. After mold remediation it is important to ensure your home is safe. SERVPRO can restore your home back to pre-mold conditions with the trained technicians and special cleaning techniques. Mold can grow anywhere. You may not find it until it is too late. 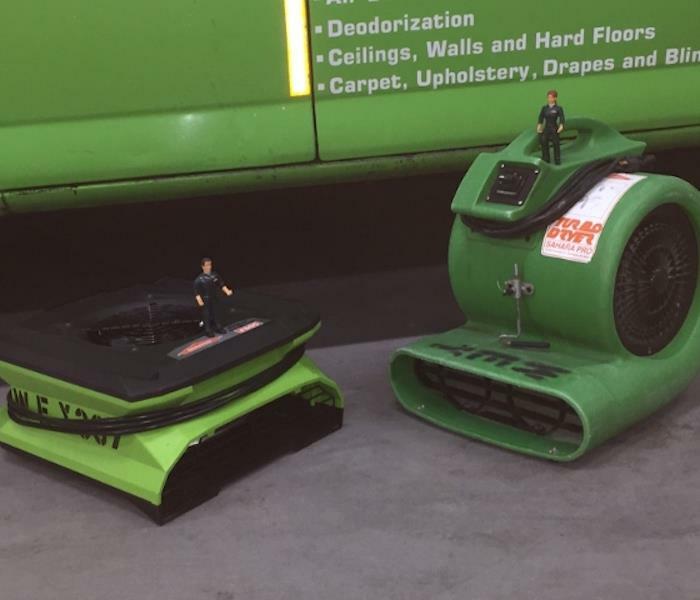 The mold can be treated from the technicians at SERVPRO with specialized equipment and cleaning techniques. Fires can happen any time day or night. We try to salvage as many belongings as we can after a fire. The water after fire fighting efforts can also cause damages. 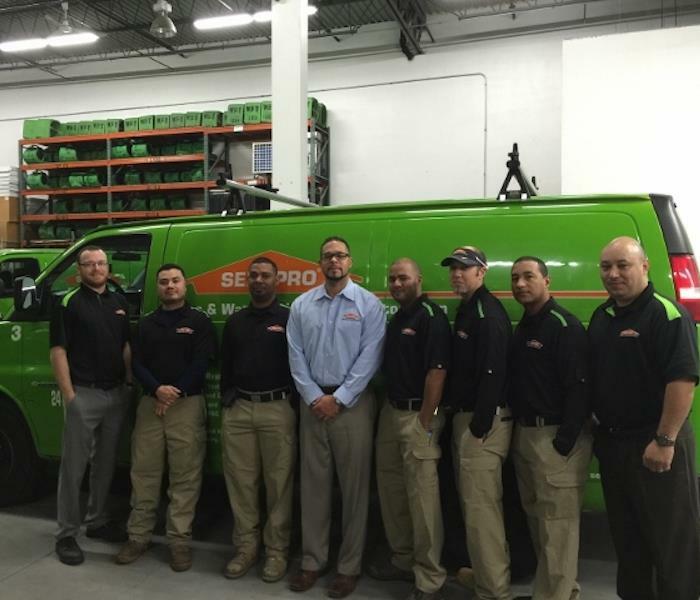 SERVPRO has specialist ready for any type of water, fire, storm, or mold restoration emergency. We quickly dried the water at this property with equipment and returned business back to opening conditions. After a water loss the team at SERVPRO came in and extracted all the water off the floors of this property. The quicker the water is gone the less chance of further water damages or mold. 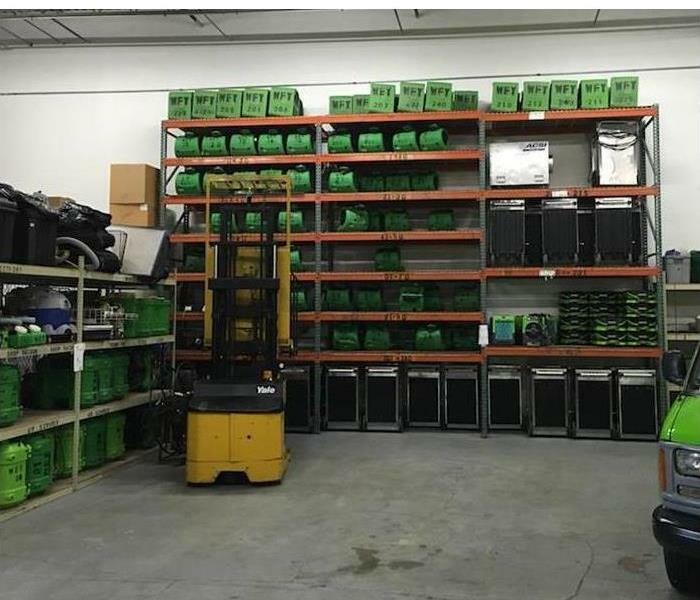 SERVPRO has the equipment for any restoration emergency in Quincy MA. 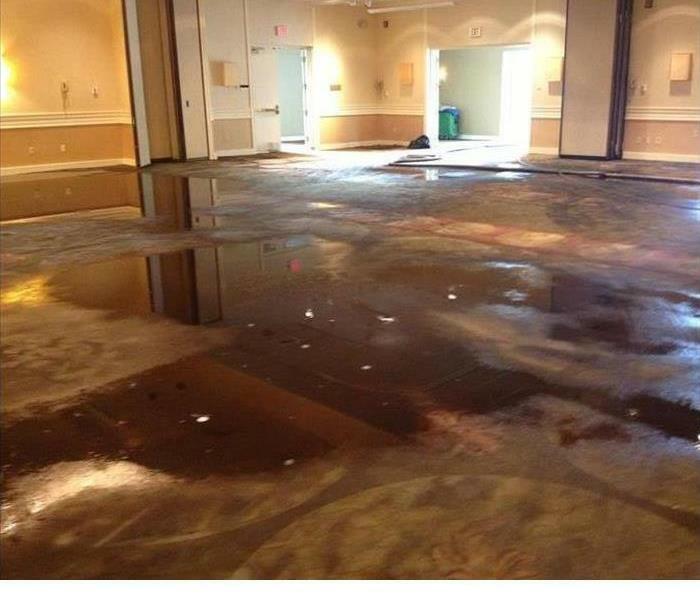 They responded to this water loss in a hotel with water damage to the floor. They used air movers to dry the area to prevent any future damage. Winter Storm Grayson caused a significant amount of water damage in this home. SERVPRO of Quincy was quickly called to come on site and begin the extraction process. 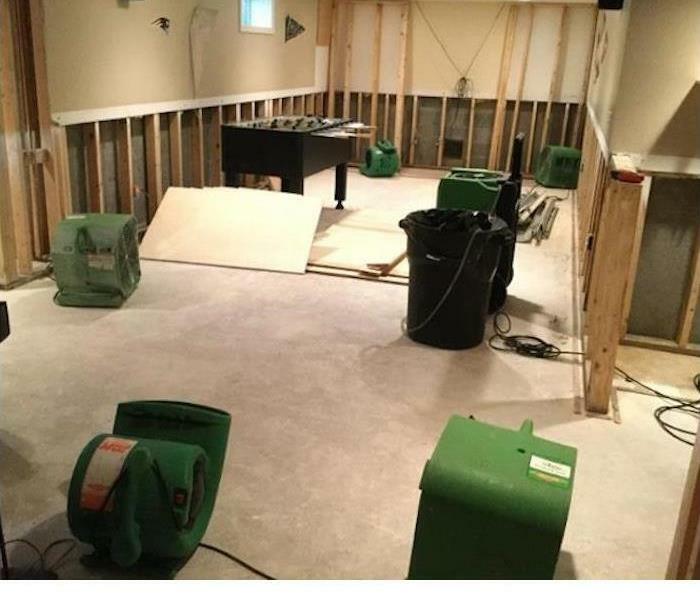 Once all of the water/snow was removed, SERVPRO quickly got the entire home dry. This house was affected by Winter Storm Grayson in Quincy, Massachusetts. 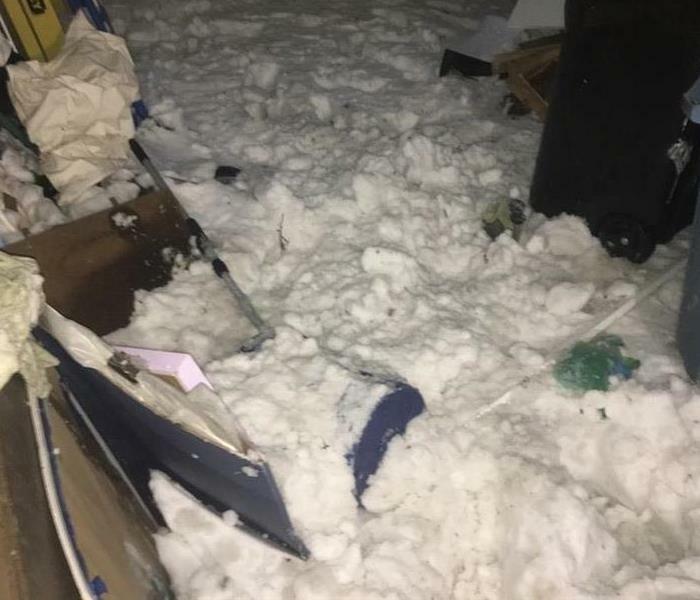 SERVPRO of Quincy was quick to respond and begin the cleanup process. Due to the cold temperatures, the water in the home froze. SERVPRO was able to extract and dry this entire home within a few days. 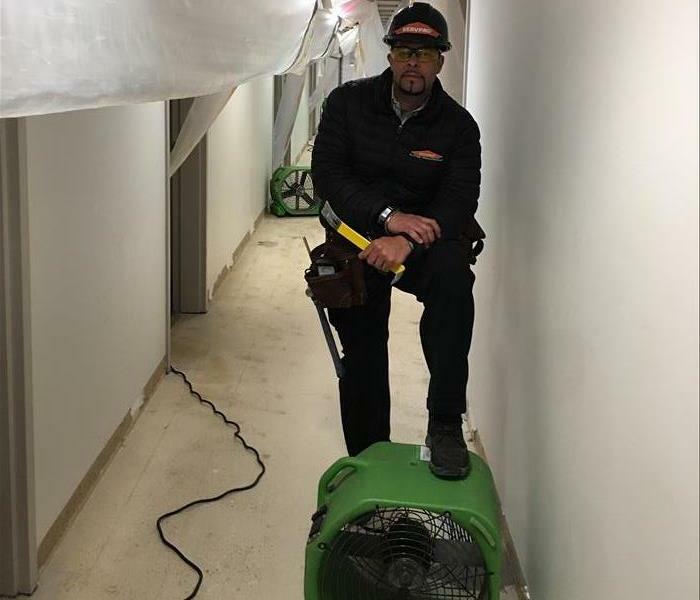 As water damage specialists, we at SERVPRO of Quincy have the experience, expertise, and advanced training that enables us to get your property dried quickly and thoroughly. We use scientific drying principles and provide validation and documentation that your property is dry and the job is complete. 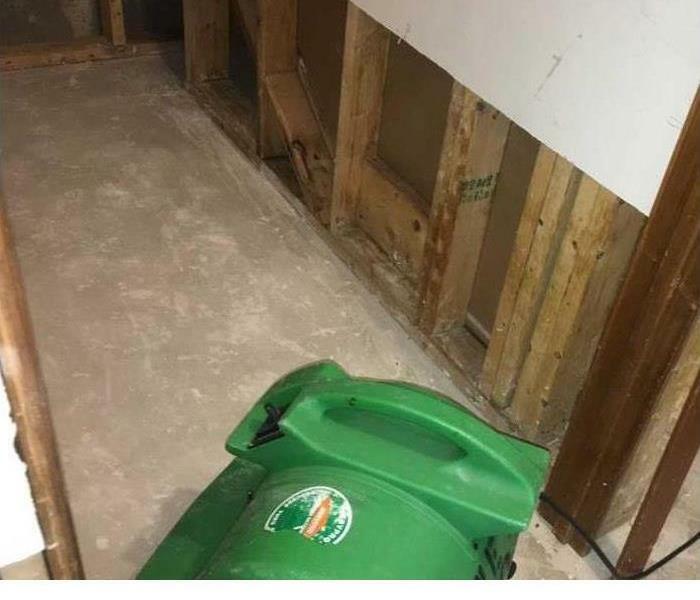 SERVPRO of Quincy has the expertise and equipment to quickly restore your property to pre-water damage condition. We use a scientific approach to water removal and water cleanup that emphasizes monitoring and documenting the drying process from beginning to end. After the bulk of the water has been removed, we use specialized equipment to target the water that’s harder to access. We’ll use less intrusive, scientific drying methods to draw the remaining water and moisture from your property with air movers and dehumidifiers. Here are some of the hard working team members at the SERVPRO of Quincy office. These guys are often on call and have to work some crazy hours so they can be sure to be ready 24/7/365 but we are so very grateful for their hard work so we can be available to our customers any time they are in need. We are always working hard to ensure we hire reliable and awesome employees so we can respond more quickly & efficiently to your restoration emergency. We respond 24/7/365 to your fire, water, and mold damage cleanup needs. We have new equipment here! The air mover on the left is far more efficient and has such a smaller footprint! Little changes like this help to ensure we have space for all the equipment necessary for any needs a restoration job could require. We're always prepared for your disaster restoration needs 24/7/365. Air movers reduce drying time making it easier to get your home or business back to normal quicker. Air movers and dehumidifiers work as a team to remove any lingering water inside the structure. Air movers are powerful fans that evaporate hiding water and bring it into the air. Once all this moisture is in the air, the dehumidifiers come in to eliminate it. These are important steps in mold prevention. Stormy and Blaze even keep our conference/training room clean! Our training room is used often to make sure our employees stay up to date with certifications, new technology and techniques, and overall training of continued customer service. We have also used this space for Lunch & Learns to educate businesses and clients of disaster prevention and the importance of have a SERVPRO ERP (Emergency Ready Profile) in place so we can help you get back to business quickly when disaster strikes. Preparation and prevention are key to ensuring the least amount of damage. These plans and profiles put into place with SERVPRO are always free! Stormy and Blaze like checking out the differences between our old air movers and our new ones! 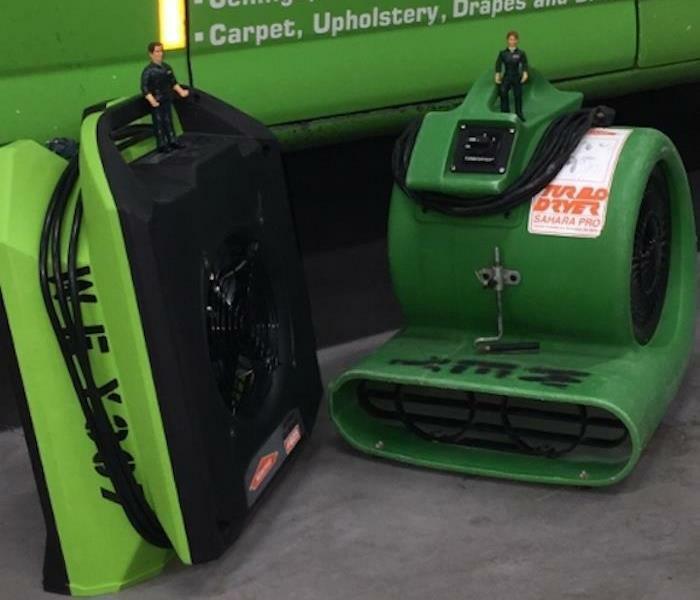 Our everyday heroes here at SERVPRO of Quincy know that staying on the cutting edge of technology in our industry will help our customers the most. 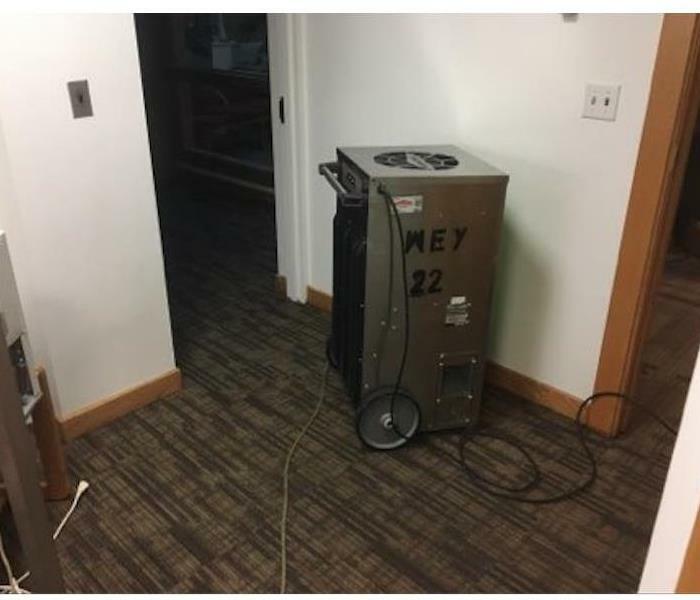 Air movers are just a small part of quickly mitigating water damage. We are continually adding new equipment to our inventory and participating in industry trainings on a regular basis. We are proud to be able to offer the latest and greatest to our customers as well as highly trained professionals. The more efficient equipment, the more efficient our staff can be.